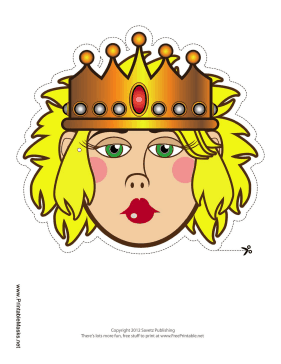 This lovely queen mask has a gold crown, long blond hair, and ruby red lips. Wear this mask to rule over your kingdom with grace and beauty. This mask is free to download and print.